Adorn was chosen for the Rooftop Project Space at Lillstreet Art Center in Chicago. The installation can be seen from the CTA Montrose Brown Line elevated tracks and Metra Train tracks, as well as driving or walking down Montrose and Ravenswood Avenues. 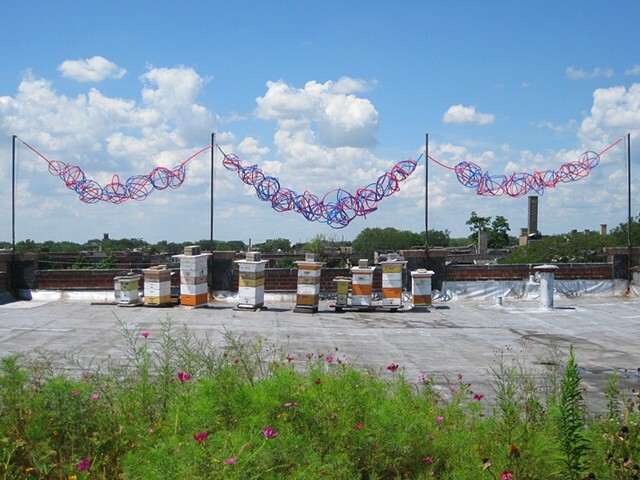 In addition, the rooftop is enjoyed by the artists working at Lillstreet, who have lunch on the rooftop deck and enjoy the rooftop garden, bee colonies, and artwork.